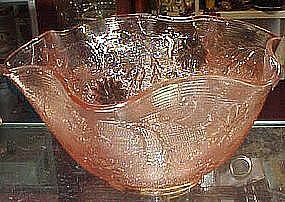 Large lovely 10" fluted edge salad bowl by Indiana glass for Tiara. Perfect condition. sandwich pattern.